Data on in-state students at Montana State University and the University of Montana revealed that those who financed more of their education with loans got worse grades, were less likely to major in a technical field, and were more likely to drop out, even controlling for standardized test scores and other student characteristics. Meanwhile, non-loan aid — such as grants and scholarships — was associated with better outcomes across the board. 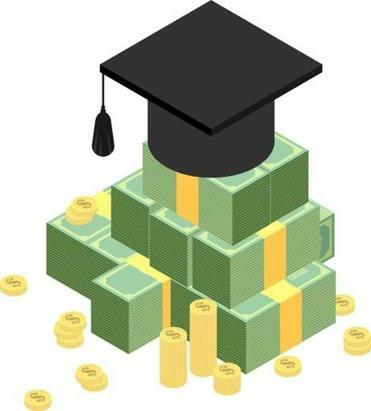 Stoddard, C. et al., “College Financing Choices and Academic Performance,” Journal of Consumer Affairs (forthcoming). Using ancestry data, researchers found that banks with CEOs who were the children or grandchildren of immigrants were more profitable relative to other banks — but only after deregulation increased competition. In other words, the CEO’s cultural background was an asset in a more competitive environment. This difference, which was attributed to immigrant cultural values, manifested itself in specific corporate behaviors. But it weakened with subsequent generations. Nguyen, D. et al., “Does a CEO’s Cultural Heritage Affect Performance under Competitive Pressure?” Review of Financial Studies (January 2018). Comparing states that expanded Medicaid under Obamacare with those that didn’t, an economist found that expansion “reduced the burglary rate by 3.6 percent, the motor vehicle theft rate by 10 percent, the criminal homicide rate by 7.7 percent, the robbery rate by 6.1 percent, and the aggravated assault rate by 2.7 percent” in expansion states — with a social benefit of “almost $10 billion a year,” controlling for state demographics, economic conditions, and government spending. He, Q., “The Effect of Health Insurance on Crime: Evidence from the Affordable Care Act Medicaid Expansion,” Clemson University (January 2018). A comparison of Gallup survey data and local temperatures found that extreme temperatures were associated with a lower opinion of the economy. These effects were especially strong among the affluent and were reflected in stock prices too. Makridis, C., “Hotter Days, Better Days? The Effect of Temperature on Economic Sentiment,” Stanford University (January 2018). Young adolescents whose parent was incarcerated after being randomly assigned to a strict judge were subsequently more likely to get in trouble themselves, to become pregnant (if female), and to be unemployed at age 20, compared with young adolescents whose parents were convicted but not incarcerated for a similar crime after being assigned to a lenient judge. This effect was concentrated among disadvantaged families. And this was all in Sweden, a country with a generous social-safety net. Dobbie, W. et al., “The Intergenerational Effects of Parental Incarceration,” National Bureau of Economic Research (January 2018).